thanks ufo for teaching. I have to ponder on it. @ALL: Today I got my vacuum motors. 2 original from electrolux and one Chineese repalcement. The original ones have 12 poles and 24 segements at commutator (middel in the pic). The chineese one is built diferently: 22poles and 22 segements at commutator 8right top in pic). It took 30 minutes for me - mechanically not experiencend guy - to make one ufo motor from two original electrolux ones (not wount yet). I can encourage to have a closer look to vacuum motors. Now: How to wind 12 poles and 24 segements on commutator? Beautiful "to be" machines there! Therefore mark them, color them...to identify Them, later on, at winding time. Got my batteries charged up and letting them rest for one hour before taking voltages and running tests. Almost have my big armature wound, so will weigh it and use it as the torque weight. That was good advise...thanks. If the motor won't run this generator, I'll just build a bigger one. You know...I love Your Attitude Dave! If We All had here "A few more Dave's"....We should be providing our own Energy before Christmas this year...serious...no joke! Therefore, the Input to Generator MUST be Opposed to the way you hooked the Prime Mover Input...Ok so far? Do not worry...chill out...that is the way to be done...BUT using a couple of nice NTE576 Diodes in order not to allow reversed generated flow from Generator to get into your Motor...but to your Generator Output. AND, The way you hook up your brushes INSIDE CASING OF GENERATOR, is ALL IN SERIES TO EACH OTHERS, Meaning ALL Input above and all Input below, as ALL OUTPUT between them...not like you did with other Motor, that Input Brushes are connected in Parallel...Ok? Last edited by Ufopolitics; 09-12-2012 at 09:17 PM. I think it will be an interesting test to hook up a battery (using the new Bedini Alkaline Battery process) to power a Ufopolitics machine. Mike and John Bedini are both going for the N200. The voltage holds at 1.4 volts approximately while the cell can deliver between 20 and 30mA. Once the current drops below the 20mA (approx 90% of run time) the voltage crashes. I can then put this cell on a blocking oscillator and it will pop back up the 1.5 volts approx and run at the voltage until the current drops below about 1/2mA and then the voltage crashes again. As long as the cell can produce the current that the load requires, the voltage remains stable. Another thing that I have noticed is that run time is not linear to charge time. It appears that a quick charge will deliver nearly as much run time as a much longer charge. This is an anomaly that needs to be documented and verified. Much more can be explored to find the best charging method for these builds. I will love to test My Machines with other Free Energy proposals and Models already built...However, I rather concentrate on the "Simple and Easy Side" to use Power Sources...like a simple Lead Acid Battery...nothing fancy first...and watch it...test it. Last edited by Ufopolitics; 09-12-2012 at 10:52 PM. The only wheel I have been able to find that fit my shaft had a bearing in it that I filled with epoxy to keep it from spinning. When I went to do my test today the epoxy broke loose and the bearing spun, so I couldn't do the test. I either have to epoxy the thing again or cut a wheel out of wood. Plastic wouldn't work...it just melted. So in the morning I will cut a wheel and get that test done. Here is my armature, all wound. Last edited by Turion; 10-05-2012 at 08:44 PM. Like they say in Italiano...Domani e un Altro Giorno. Now, you wound same as your Motor but broke it into Eight Coils per used to be Pairs...right?...same turns or more than Motor? UFO, Sorry about a misunderstanding on YouTube. Please check your private messages there. The motor had 25 turns of #23 around four north armature segments (wound clockwise) and then this same wire continued on to 25 turns around four south stator segments (wound counter clockwise). This made up ONE wind. I wound the generator the exact same way, except instead of going around four armature segments in each direction, I only went around ONE in each direction with one piece of wire. As I read what you just wrote, that does not appear to be correct. 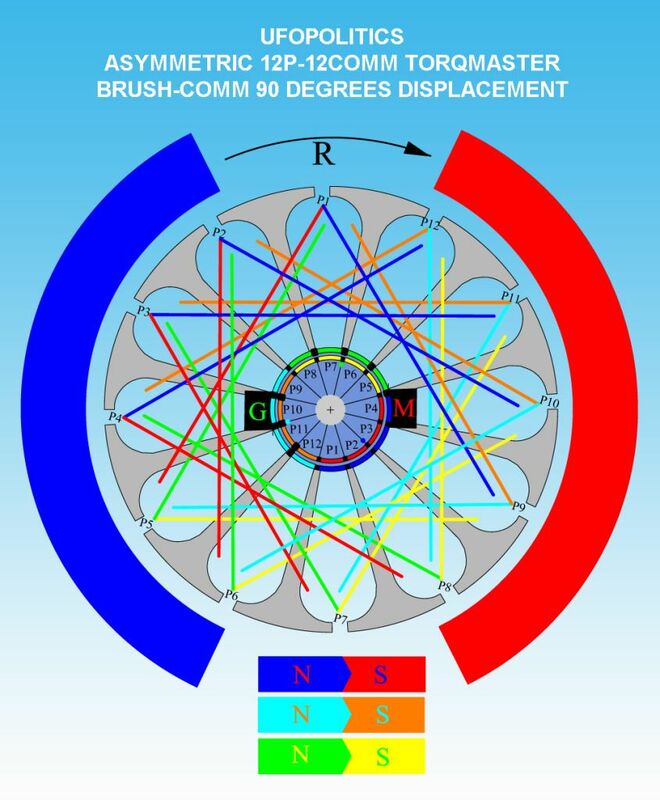 It appears you are saying that there should be 8 stator segments wound north (clockwise) alternating with 8 stator segments that are wound south (counter clockwise) and each stator segment is its own individual wind and a north and south are not joined together on the generator. Is that correct? 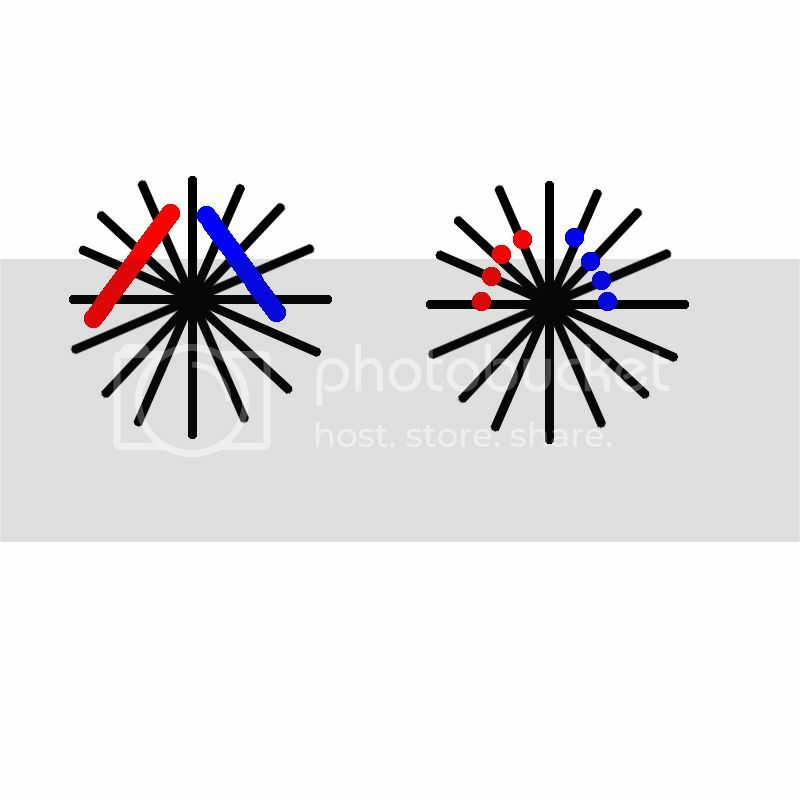 I tried to tell you that in a PAIR there would be Eight Total Coils Including N and S ..or exactly the way you described. You are fine like that. Even though I said stator when I meant armature, I think I get it. I will rewind tomorrow.....after I make the wheel. This means on the armature that has sixteen sections there will be sixteen coils...eight north and 8 south alternating. No overlapping of wires of any kind. Last edited by Turion; 09-13-2012 at 05:51 AM. Dave in your original Modified You have 16 Total Pairs, therefore 32 Coils Total...right?...Right! Each Coil embraced four poles, so each Pair embraced eight poles, meaning two coils, one North, one South...right? Therefore, You will have Four (4) times 32 total coils...or 4 X 32=128 Total Coils in your whole Generator. Now each Sub Coil will have approximately six turns, in order to keep same ratio as Motor... 6 X 4=24 Turns total per Divided Coil....if there is room for Seven turns per Sub Coil...by all means make it. Last edited by Ufopolitics; 09-13-2012 at 06:28 AM. I am more confused for sure. With only sixteen sections on the armature, if I wind every section on the armature as BOTH a north and a south, the most I can get is 32 coils. That is what I did. I took section one and wound it as a north paired with section two as a south. Then I wound section 2 as a north paired with section 3 as a south. Then section three as a north paired with section four as a south..and kept going until all sixteen sections had been wound as both a north and a south. But that's still only sixteen pairs, or 32 coils, half north and half south. I have no idea how to get 128 coils on an armature that only has 16 sections unless there are four coils on each section, which makes no sense to me, since two would be north and two would be south????? I think this is what UFO means! I think this is what UFO means. Rather than winding each coil over 4 poles, each of the 4 poles has its own little coil, but they are connected in series. Mercy UFO if I am wrong! I think you may be right. THAT would indeed give me 128 coils. I will wait to see what UFO says. Last edited by Turion; 09-13-2012 at 02:21 PM. Exactly That John G Thanks! I've got it as long as only ONE wire is used to accomplish what was shown in the prior drawing. It other words, four north are wrapped in series and that same wire continues to wrap four south in series. If this is correct, I have it. The motor had 100 turns per armature section, which is 6 turns per small coil (96 winds per armature section) but I will try seven turns per coil (112 turns per armature section) which is a LOT more! Last edited by Turion; 09-13-2012 at 05:24 PM. So if you look at it...there will be small coils on top of other small coils...and so on...on the intersections between other Groups. Sorry I have not got the time to make a nice Diagram here...thanks to John G you got it right...a Diagram speaks for One Million Words...great! Surprisingly my original vacuum motors are now 12 pole - not 22 as expected. Is this still the valid instruction for 12 poles? 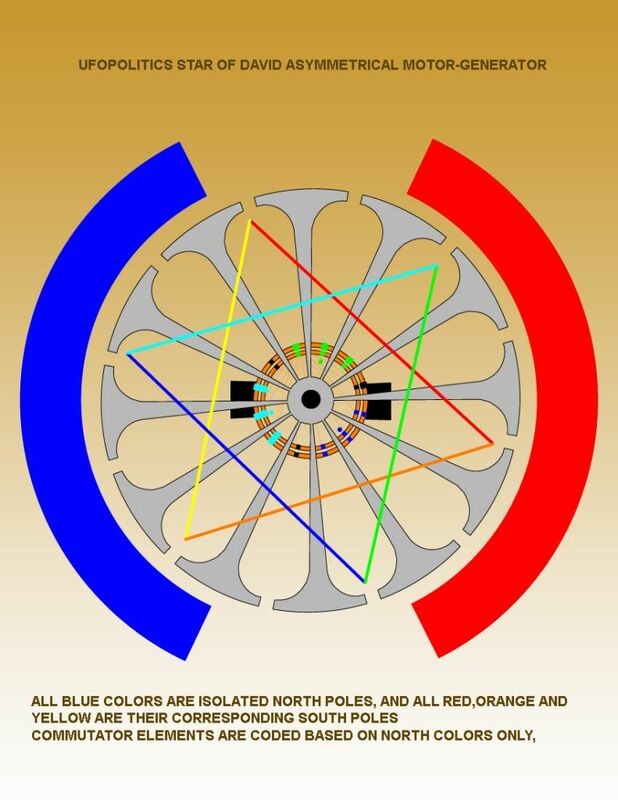 Winding direction: If I look on top of the poles I wind the blue and green coils counterclockwise and the corresponding companion coils still looking on top of the poles clockwise. Please beare with me - quite confusing for my old brain! Experts spend hours a day in order to question their doing while others stopped thinking feeling they were professionals. Last edited by JohnStone; 09-13-2012 at 09:12 PM. Yes John, those are both active, you lucky devil you. I have not found even one 12 pole. All I have is about eight 22 poles. unless i'm mistaken ... wind the corresponding north/south coil pairs as if they were a single coil with a single winding direction but you have bent the coil open to make space for the shaft. also all 'bent' coils are wound in exactly the same manner. if i'm wrong hopefully i'll get corrected before you spend too much time on it. both hints correspond - different views one result. I will wind the motor at weekend - given Ufo does not disagree. It seems that Chineese make those 22 pole motors. Perhaps 22 is a lucky number there :-) My motors are original Electrolux and made somewhere in a French speaking area. Question: Did you fix the windings with resin or similar material? all advice given so far has said not to worry about resin yet. it makes it nearly impossible to unwind and start over if you find an error. myself i just wind the coils tight and then slide a piece of stiff transparrent plastic between the coils and the outermost 'T' piece of the arms making sure that centrifugal force cannot easily dislodge the plastic. between the piece of plastic and the fact the wire would need to stretch or break before it could escape the plastic one is fairly safe in 'testing' mode. Just quick update. I tore into the "generator head" and found it was an alternator type. Which I thought all gas powered generators were PM type genys. So still trying to find a same size treadmill motor to modify and use as generator with this Ufopolitics mod. Good to see the success all of you are having with this project. And we need a complete series of those data sets in order to get an expressive graph. We neeed graphs from several replications in order to compare and optimize and proof. But our coummunity is not there yet - but we will BE THERE! Last edited by JohnStone; 09-14-2012 at 06:51 PM. That is a great Idea Dad Hav! It will help not only to make all calculations faster, but it will brake all barriers between Metric and English measurements that could bring confusion...is like a "Common Language"! That is a great idea to make ..yes, We will get together all the basic formulas as also all constants and relationship on ALL different Measuring Units and their respective conversions in the "Backstage Codes" of the Software...as We will be printing it here for further modifications and repairs. Last edited by Ufopolitics; 09-14-2012 at 06:58 PM. yes I WILL wind the baby this weekend. I hope to have enough wire AWG24. The nect choce would be AWG32. That seems to be not suitable. Am I right Ufo? with integrated meters. It will be necessary i.e. for having strong and short HV pulses. BTW: Spredsheets can calculate and display very nice graphs of all sorts.